Last year I made a whole bunch of Tsum Tsum cross stitch patterns for a swap. I’ve been meaning to release the patterns for awhile and this week I got a message giving me the push to finally do it. The finished Tsum Tsum is 2 ‘x 2.5″ when stitched on 14 ct Aida. 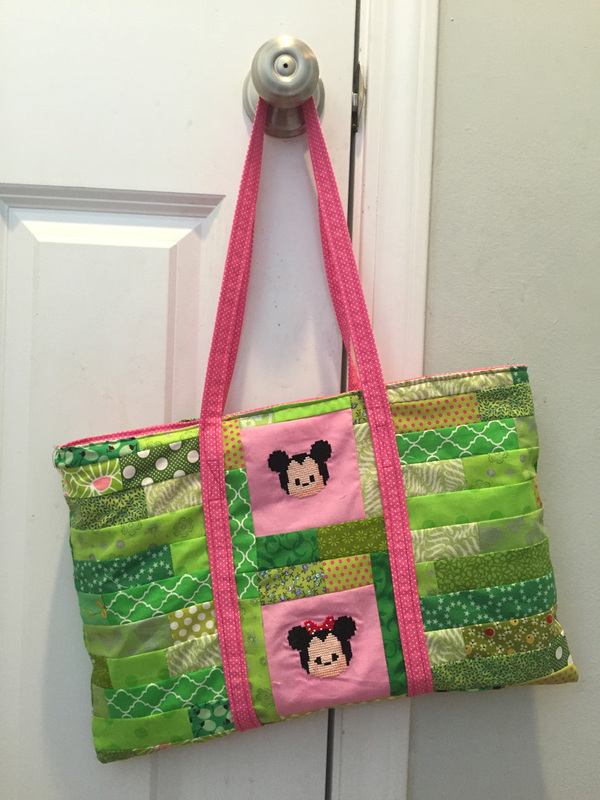 I used the DMC Water Soluble Cross Stitch Canvas* so I could stitch it on quilting cotton. 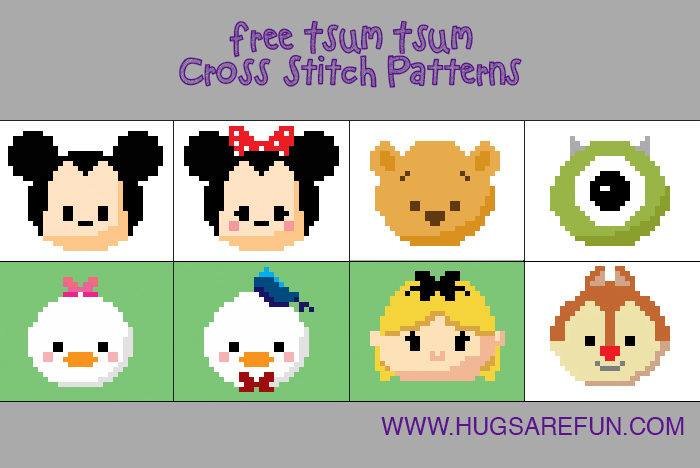 Love the tsum tsum cross stitch patterns! I would love to see more! I would specifically love have patterns for the Snow White And The Seven Dwarfs tsum tsums! If you would consider doing those, it was be great! I have searched and have only found Peter bead patterns, but I can’t seem to get it in my cross stitch program correctly.